In/Out or Shake it all About? The dramatic turnaround of Edinburgh City has been one of Scottish Football’s more interesting stories this season. After scraping around the bottom of League Two since their historic promotion, the team find themselves (at the time of writing) three points clear at the top of the table, with an Irn Bru Cup semi-final in North Wales to look forward to in February. After modest expectations laid down by the gaffer, James McDonaugh, of simply to improve on last season’s points total and position, the side have already beaten their highest points total since entering the league, have finally found a scoring touch and, perhaps most importantly, have one of the best defensive records in the entire UK (the old adage of ‘attack wins games but defence wins championships’, may be proven correct by season’s end). This turnaround has, unsurprisingly, led to much speculation about what City will do in the transfer window – both in terms of ins AND outs. As is now customary in modern football, especially with the creation of the transfer window, speculation is rife in the build up to each window opening. City find themselves in a new situation: the need to bolster a squad, who despite flying high, have been threadbare (due to a constant stream of injuries), coupled with the need to try to maintain their position, by adding to a squad that has shown remarkable consistency and togetherness; and the need to fend off potential suitors, due to their excellent form. There are many questions for the club during the current window – do they go all out, and add to the squad, though running the risk of unsettling the team/draining the budget further? Do they seriously consider any bids for players, with the semi final and run in, just a short time after the window closing? Or do they stand pat, and attempt to valiantly soldier on? We’ll take the second question first. It seems obvious that the fans would not be best pleased if any of our players left at this vital stage of the season. While its understood that many are on yearly deals (so risking the chance of losing them for nothing), the club are also on the verge of achieving something quite remarkable. This is the reason there is such interest in much of the team. Despite many City fans voicing their displeasure at this constant stream of speculation, it is of some credit to their fine season, that these stories keep cropping up. Losing someone like Blair Henderson (who appears to have garnered interest from Championship clubs, in particular the fans of these teams), would be (for any side) almost impossible to replace, despite McDonaugh’s obvious contacts in the game. Indeed, losing any of the first 11 (plus the injured Danny Handling), could be catastrophic for the club, regardless of the return of long term absentees, such as club captain, Josh Walker. The team has shown great consistency throughout the season and losing any of these players, at such a vital stage, runs a real risk of losing the momentum created. That said, the board must also consider how gaining fees can help the club, over the long term. It’s certainly a position, I would not like to be in. There is little doubt, though, that the team is almost running on empty. City have had a fairly settled first 11 since the beginning of the season; both by need and design. A lengthy injury list, including the aforementioned Handling and Walker, along with others, such as the highly versatile John Dunn, have seen McDonaugh’s hands tied somewhat in attempting any kind of rotation. His desire to add to the squad has been obvious and loaning Adam Watson (now a permanent deal to the end of the season), whilst signing former Hibs player, Danny Galbraith, have helped somewhat, though the bench is still being filled (if not fully some weeks) by the odd promising under 20. While there is always a chance that bringing in some new faces, whether on full deals or loans, brings an inherent risk, such as upsetting the squad or draining the budget if it doesn’t work out, McDonaugh has certainly shown he’s a canny operator in the transfer market. Moreover, one gets the feeling that if you do not fully buy into his system, and the City setup as a whole, you won’t be considered. Indeed, this was partially highlighted during a local press interview with forward, Allan Smith, who was keen to emphasise that the team are doing so well, as everyone has bought in and everyone gets on well with each other. So, with all of this in mind, the team do need to add some depth to the squad, especially if any more key players catch the injury bug. Not making any signings, unless the budget is totally depleted, is not really an option. Left Back – Robbie McIntyre has been one of the signings of the season. One of the team’s most consistent performers, he’s been quite superb throughout. The issue here is the team only have one left back. Should Robbie go down with a long term injury, there is little cover for him. Whilst our back line is fairly versatile, with both Gareth Rodger and Liam Henderson able to deputise there, neither are out and out left backs. It is clear that cover is needed for this position. 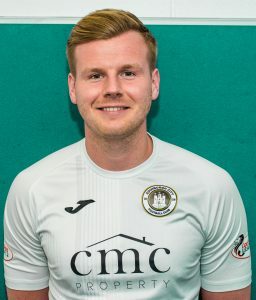 With that, City should perhaps look to take Lewis Strapp on loan from Greenock Morton who could cover either side and knows the league following his loan spell with Annan Athletic – Strapp was previously linked with a move to Swansea City but this failed to materialize. Both Wings – In a recurring theme, City only really have one out and out winger, Graham Taylor. He’s performed well, as has Scott Shepherd, who has put in some sterling performances on the right side. That said, Shep is ‘naturally’ a centre-based player, mainly forward. There is also no cover for these positions, though Adam Watson, and at times, Allan Smith, have exceeded expectations when playing in areas they are not used to. An aggressive move that City could make would be to try and lure East Kilbride’s former Motherwell and Preston North End Winger Chris Humphrey who has found his love for football again in the Lowland League but his pace and skill could really help maintain momentum as we make the push for promotion. Striker – This may seem an odd choice considering Blair’s astronomical return so far this season. His 27 goals, in all comps, by far lead City’s goalscoring charts. Next highest is Shepherd with 7 (with one of the third joint highest being centre half Conrad Balatoni). Should Blair either be injured, lose form, or be lost by being sold, that is an incredible number of goals that need to be found. Even having someone who can deputise for Blair, to just give him a rest now and then, would be a fairly prudent move. 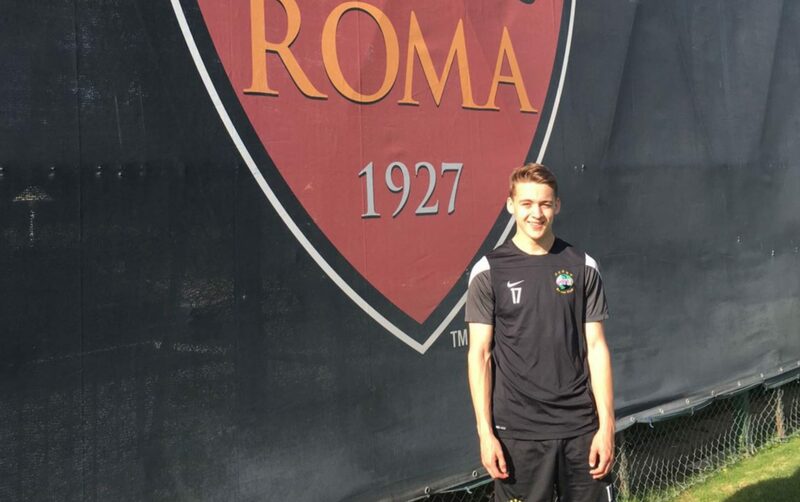 With that, we could attempt to sign Dundee United youth prospect Louis Appéré the 6ft 19 year old striker would offer a similar foil to Blair Henderson with his strong frame and physical ability, Louis Appéré clearly a talented young player confirmed by his trial with none other than Italian giants Roma. Appéré could be a potential loan option with his route to the Dundee United starting line up currently looking blocked. Previous article Shut the Window? !